Where do our beliefs come from, and why do we hold on to some of them even if there is evidence to the contrary? 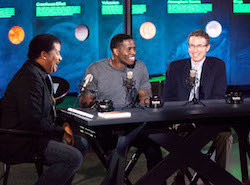 Why, for example, do we continue to be fascinated by God, religion, haunted houses, UFOs, conspiracy theories, and miracle cures, even when science can dispute many of these claims? 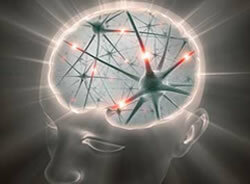 Is it because we are uneducated, or are our brains designed to interpret and seek out such possibilities in the world? Simply put: Why do we believe what we believe? 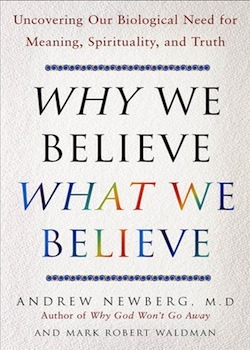 In Why We Believe What We Believe, Andrew focuses on the underlying mechanisms that govern our spiritual, social, and individual beliefs, arguing that we are biologically driven to find meaning and wholeness throughout our lives. In fact, our brains have the capacity to create and maintain a system of beliefs that can take us far beyond our survival-oriented needs. These belief systems not only shape our morals and ethics, but they can be harnessed to heal our bodies and minds, enhance our intimate relationships, and deepen our spiritual connections with others. However, they can also be used to manipulate and control, for we are also born with a biological propensity to impose our belief systems on others. This innate power of our beliefs to heal or injure, to foster happiness or disease, or generate societal friction or peace is the underlying theme of this book. Based upon his neurological research (including new studies with Franciscan nuns, atheists, and evangelicals speaking in tongues), Andrew correlates a wide range of human beliefs with specific perceptual, social, and biological factors. He argues that some beliefs can enhance our physical and emotional well-being while others can function destructively, not only upon one’s self, but upon society as well. Although our beliefs are rooted in the biology of the brain, Andrew emphasizes that they are equally shaped by parents, peers, and society. In the end, a better understanding of beliefs can foster a more compassionate perspective on people who hold other beliefs and point the direction toward a more positive life and society.